When we are born, we are a mystery. We have little idea about who we are, and what our place is in the universe. Life experience and education teaches us how the world works but how do we discover ourselves, our purpose & our unique story? The only way to find the right answers is by asking the right questions. From thousands of in-depth personal interviews across 12 countries, we’ve been developing ours for two decades with the help of professionals in counseling psychology and developmental molecular biology. Our core key-life questions center around the individual's longings and fears- two major motivators in determining how they live their lives. We generally have within us the answer to our own mystery, our own pain, our own problems, our own potential. When we are given the space, time and guidance to search for these answers, we start to tap into our most valuable possession– our own story. The practice of reflection leads to deeper introspection. Like the apple landing on Sir Isaac Newton’s head, our own truth is revealed as long as we are looking for it. Socrates said “Know Thyself” and described an ideal life as a self-examined life. If knowledge is power, self- knowledge is superpower. Finding our own truth, understanding our own predilections, habits and fears, discovering our own passion and desires allows us to actively pursue becoming the best version of ourselves. By regularly taking inventory and practicing telling our authentic story, our emotional intelligence increases and we are able to move from being victims of circumstance to authors of our own lives. We are empowered. Every day we write a new page in our lives and we alone decide what that story will be. Your built in, personal film crew. 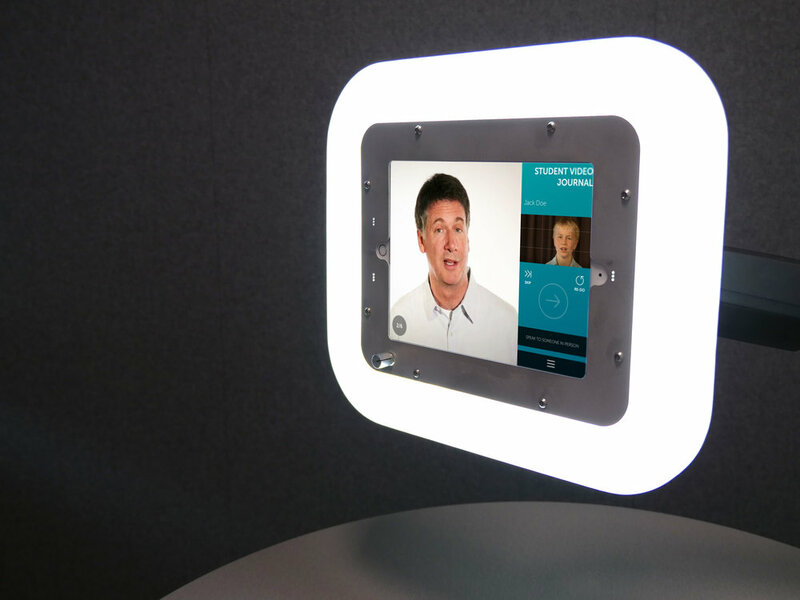 Used to capture and inspire thousands of personal stories worldwide, this self-lit, self-sufficient kiosk is our premiere video interviewing tool. Because our approach is HIPPA compliant, participiants can privately explore their authentic story and feelings to a “surrogate human interviewer” without fear of judgment. Get in touch today to learn more about how the StoryQ technology may be adapted to serve your needs.